Anyone who wants a nice hardwood floor already knows the benefits. Hardwood flooring is fairly easy to maintain and lasts a really long time. But, if you want a really unique look for your flooring, what do you do? These days, a lot of people turn to exotic hardwoods, such as Brazilian Cherry, Tigerwood or Zebrawood. Bamboo is another environmental friendly, beautiful option. These hardwoods are harvested in other countries under occasionally questionable circumstances. But, they are also beautiful. If you want the enigmatic look of exotic hardwood, without the additional expense, consider these lovely alternatives to solid hardwood. As you know, hardwood lasts for generations. If it is well cared-for, it may be used again and again. All over the country, people take out their perfectly acceptable hardwood flooring and put in a different wood, tile or whatever is their preference. What happens to that wood? It is reused. 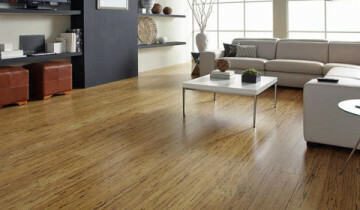 This concept is extremely important to the flooring industry, because wasting wood is not very environmentally friendly. Taking wood that has been used for another purpose and turning it into flooring allows people more variety than they might have had otherwise. It saves money. And, in certain cases of exotic hardwoods that have not been responsibly harvested in the past, it helps to protect those species. Reclaimed wood is used often in engineered hardwood and laminate flooring. If you have just got to have the idiosyncratic stripes of Tigerwood, but the cost will break the bank, how about engineered Tigerwood? You get the beautiful visage, and you also get to know that you are being environmentally responsible by using less of the endangered hardwood. With engineered hardwood, you do lose a little ability to repeatedly sand and restain the wood. But, you gain the ability to install it anywhere you choose. And, you may even find that laminate fits the bill. With laminate, you do not have to worry about affording the exotic wood at all. Since laminate uses an image, not the actual wood, you can save even more money. And, you still get that same extraordinary design. Choosing hardwood is a fashion statement for many people. But, if your budget does not allow for your taste in exotic hardwood, consider using reclaimed wood in engineered hardwood or laminate flooring. You receive the same simple maintenance, with more flexible installation. And, your floor still looks totally awesome. 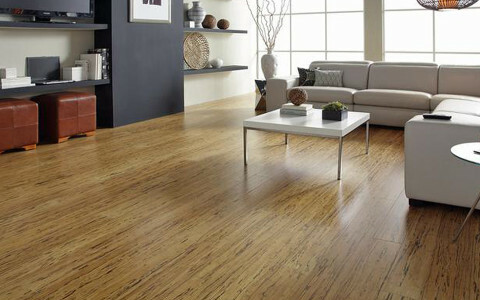 Ask us at Trevino Flooring for more information about adding spectacular flooring to your home.